San Salvador de Jujuy hasn’t really exploited its tourism potential yet, so it’s a great place to be if you want to experience a livable city in northern Argentina while remaining close to all the big attractions. 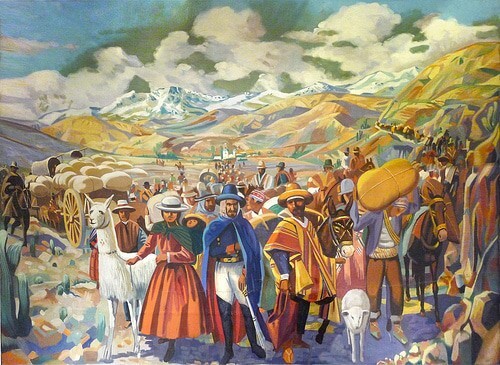 Known to locals as “San Salvador” and to others as just “Jujuy,” this capital city has a tumultuous past, having been destroyed by indigenous people who weren’t so happy about its founding and bearing the brunt of many battles in the country’s quest for independence. 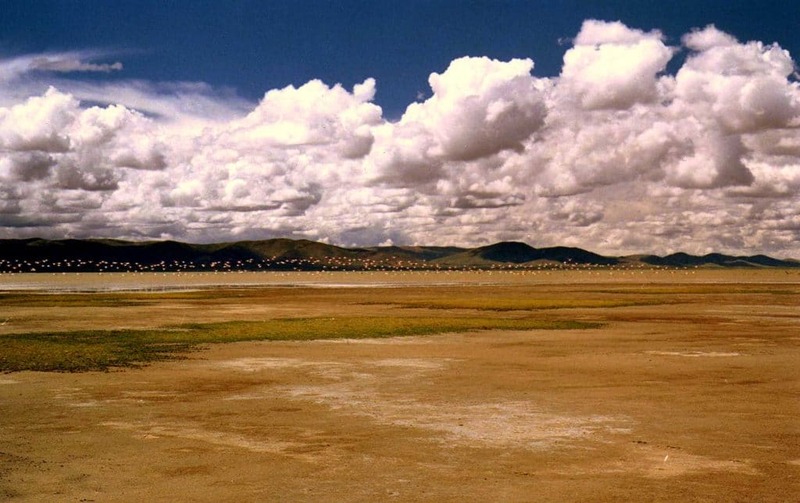 From Jujuy, you can venture to the giant salt flats of Salinas Grandes, hit some museums, take a day trip to Purmamarca and Tilcara, or go hiking in Calilegua National Park. 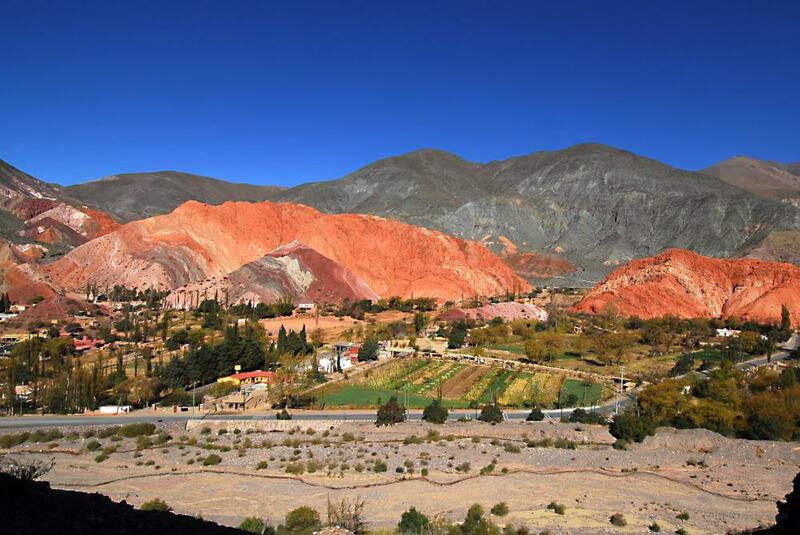 With a great temperate climate, nice bars and restaurants, famous churches, and the colorful gorge of Quebrada de Humahuaca at its doorstep, Jujuy isn’t a bad place to spend a few nights and explore the country’s Andean roots. Head out for a hike and look for wildlife in the dense vegetation and cloud forests of this national park. One of Argentina’s most biodiverse areas, these protected yunga piedmont forests are home to over 300 species of birds, the South American jaguar, tapirs, climbing frogs, and the South Andean deer. There are many walks of varying difficulties here, but the best time to see wildlife is during the early mornings and evenings so you may want to spend the night. Campsites are available as well as the services of nearby guides who can arrange treks, horseback rides, and mountain biking through the forest. 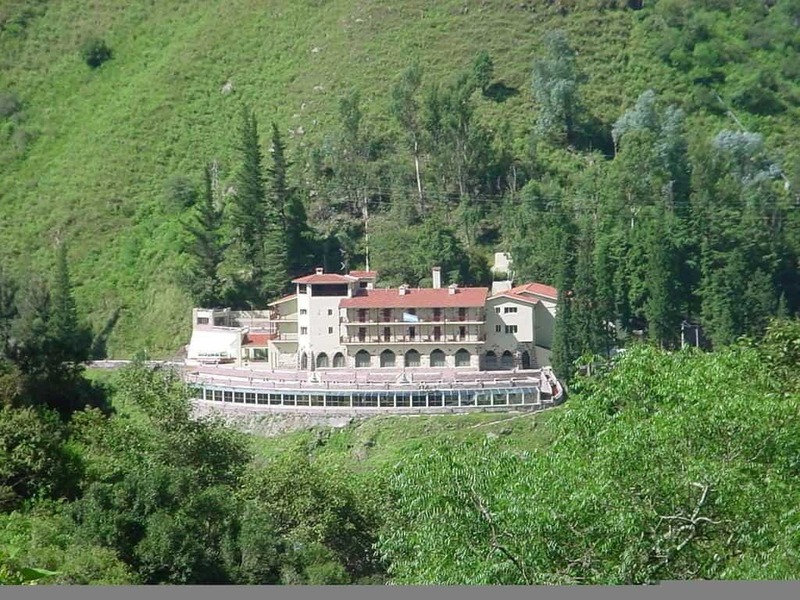 If you want to relax in natural hot springs surrounded by mountains and lush landscapes, this is the place to go. Just 11 miles (18 kilometers) outside the city, the Hotel Spa Termas de Reyes will provide you with access to these mineral-filled thermal baths. Said to eliminate toxins, purify the blood, and reactivate metabolism, many visitors with rheumatism and skin conditions also come for the healing properties of these waters. Take a long soak and then opt for a massage, sauna session, or mud bath at the hotel’s spa. Stay for a meal at their restaurant while you enjoy the views and sounds of rushing waters, or hit one of the many walking trails nearby. 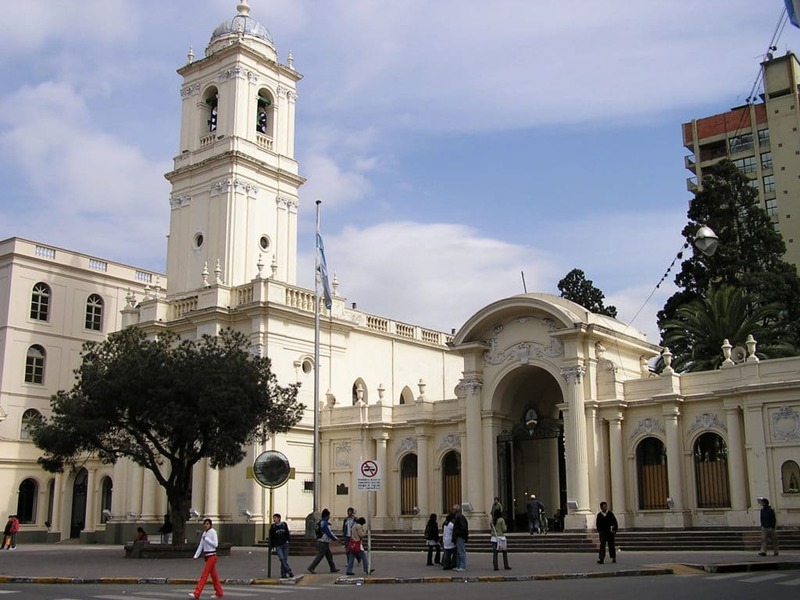 Named for the famous Manuel Belgrano, a general in the Argentine army during the War for Independence and the man credited with designing the flag of Argentina, this plaza is the main square in town. You can sip a coffee here while you people watch and take in the sites of the impressive French-Baroque architecture of the Casa de Gobierno. On the first floor of that building, visit the Salón de la Bandera to see that first flag, given by Belgrano to the people of Jujuy in 1813 as thanks for their sacrifices during the war. Within the plaza, you’ll also find a garden that surrounds a statue of Belgrano carrying the flag, and occasionally you might catch a protest here. 4. Try the Regional Fare – Llama! Yep, you’ll need to try some llama meat while you’re in Jujuy. It’s an authentic regional specialty, and you can order llama steaks at the popular Restaurante Viracocha (they have an English menu) or Manos Jujeñas. If you can’t stomach the thought of eating that friendly, fuzzy animal, there’s also stuff like tamales, humitas (corn pudding tamales), and locro (a hearty stew of corn and meat). 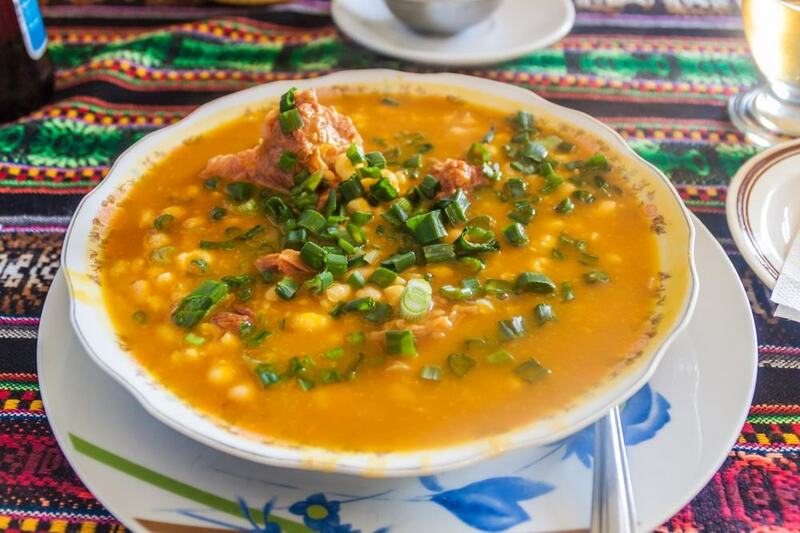 If you venture to the town’s Mercado del Sur, you’ll find a trading post where indigenous folks sell mazamorra (cold corn soup) and other regional dishes like chicharron con mote (pork with boiled maize) and sopa de mani (spicy peanut soup). This is still Argentina though, so there’s no shortage of steak restaurants here. Try La Estancia Parrilla or Parrilla La Mansión for great cuts of beef accompanied by red wine. This charming pre-Hispanic village is definite postcard material with its red roads, adobe houses, and the Cerro de Los Siete Colores (Hill of the Seven Colors) as its backdrop. Visit the 17th-century Church of Santa Rosa de Lima which is surrounded by ancient trees, and definitely walk the Paseo de los Colorados, a 1.5 mile (3 km) easy yet incredible trail to the Cerro. You’ll have breathtaking views and witness the brilliant red, pink, gold, and green colors of this incredible rock formation. You can also do some shopping at the daily handicraft fair on the main plaza where you’ll find woven goods and other genuine products made by local indigenous artisans. From San Salvador de Jujuy, it’s a little over an hour’s drive to this lovely village and the starting point for the Quebrada de Humahuaca. A beautiful colonial home with nine rooms and two interior courtyards, this National Historic Monument in Jujuy is dedicated to controversial political and military leader General Juan Galo Lavalle. He played an important part in the Argentine War for Independence and at the end of his life, the Argentine Civil War. At the age of 44 he was defeated at the Battle of Famaillá and later shot through the door of this house where he died. In the seven rooms that you can visit, you’ll see uniforms, weapons, letters, and banners from that historic time period. There’s also a collection of religious and cultural artwork, furniture, decor, and many examples of the European-style fashion popular in Argentina during the 19th century. A ridiculous feast for the eyes, this multicolored valley and UNESCO World Heritage Site runs for 96 miles (155 km) along the Rio Grande and north into Bolivia. Once part of the ancient Inca trails, there are lots of interesting historical sites and geographic formations on this route. Drive it yourself (car rentals are available and the roads are good), book a bus tour, or arrange for a private guide. 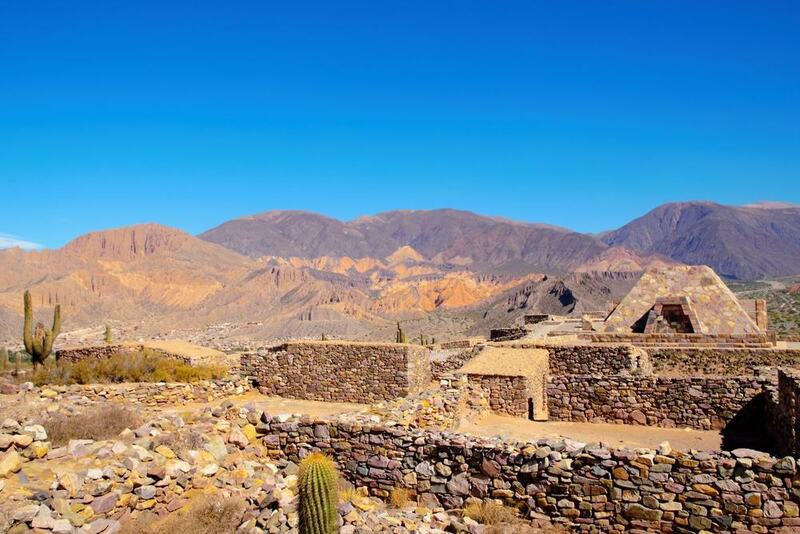 You’ll see the ever-changing layers of sediment and new colors at every turn, plus there are tiny pre-colonial towns like Tilcara, Purmamarca, and Humahuaca where you can take a leisurely break along the way. Make plenty of stops for photos and try to get in lots of sites before the wind and dust kicks up later in the day. 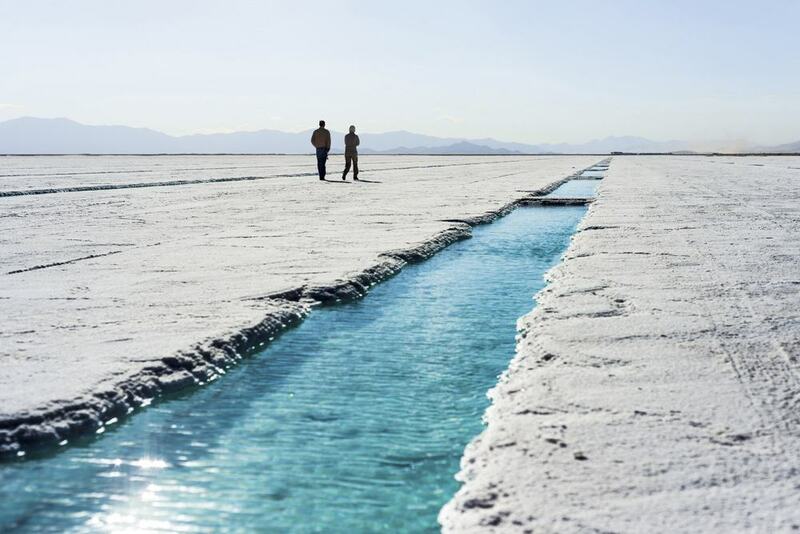 Take a day and head out to these vast natural salt flats. There was once a huge lake here which has long since dried up, but now you can see where salt is mined and check out the square reflective basins of water cut into the flats. Make sure you bring props if you want to take those obligatory perspective photos on the gleaming white expanse of land. If it’s just rained the whole landscape can appear mirror-like. There’s also a building here made of salt bricks which contains salt furniture and sells little salt carvings to take home as souvenirs. .. or you could just grab a handful of salt. You can do this visit on your own, arrange a tour from Jujuy, or grab a guide from the city of Purmamarca if you’re making the day trip there anyway. Bring your binoculars and head out to this lagoon in the Puna region which has received international designation for the number of shorebirds it hosts. Filled with hundreds of flamingos, you can walk the trails that’ve been cleared through the fantastic high-altitude landscape to spot birds and other wildlife. There are actually three species of flamingos you can see here (they don’t compete because they have different diets), and this natural sanctuary consists of over 10,000 hectares of protected land. The wetlands are set in the midst of the arid steppe surrounded by mountains, and since the lagoon is kind of in the middle of nowhere, you’ll need to drive or book a guided tour to visit. 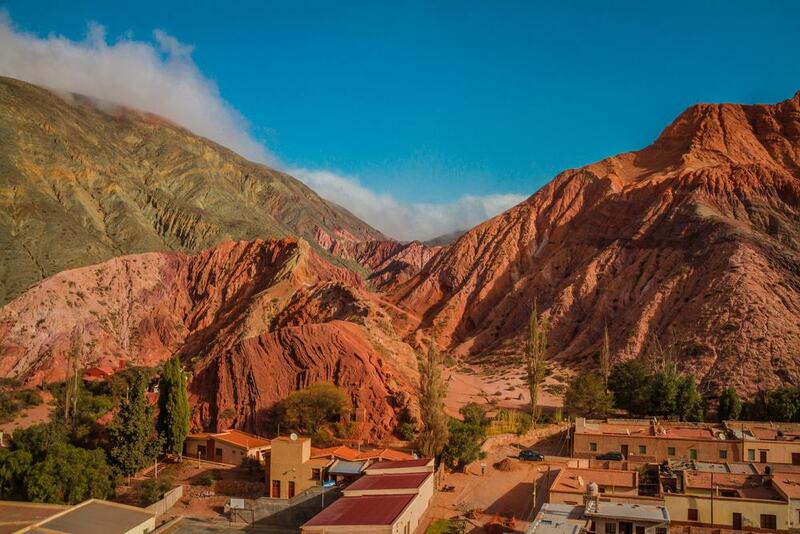 A favorite of the villages along the Quebrada de Humahuaca, you may want to make a day trip to visit or even stay for a night or two. It’s home to the pre-Inca fortification known as the Pucara, an important archaeological site with a nearby cactus garden. The picturesque town also features an archaeological museum and botanical gardens, plus a fun main plaza with handicraft vendors, bands, and street performers. Tilcara is one of the more lively stops along the route down the Quebrada, and it contains great bars and restaurants with live music, craft beer, and traditional dancing and entertainment in the form of peña concerts. While you’re here, do the incredible walk through the Devil’s Throat to see the impressive gorge and waterfall just outside of town. Perfect for a stroll or a drink, this pedestrian street in the center of Jujuy is often filled with vendors, hawkers, and shoppers. Though it’s not very long or super impressive, there are several places to shop, a supermarket, hotels, and ATMs if you need them. Right nearby, check out the beautiful public library dating back to the 1800s, La Biblioteca Popular de Jujuy, for its history and vast collection of books. There are often cultural events held here and it’s got workspaces, computers, and a reading room, plus it’s a solid source of literature from regional authors that’s difficult to find elsewhere. If you’re into ancient history or want to learn more about the indigenous peoples of the region, check out the Archeological Museum of Jujuy. You’ll see a collection of pottery, tools, arrowheads, and other pre-Hispanic artifacts, including a 3000-year-old statue dedicated to the goddess of fertility that was found in the middle of a sugarcane field. There’s also a collection of skulls and mummies, including the body of a 2-year-old who lived over 1,000 years ago. The teeth and hair are still very well-preserved. These findings are thought to be remnants of the ancient San Francisco, Yavi, Omaguacas, and Casabindo cultures, and the owners of the museum seek to preserve and spread information about those ancient civilizations of Northern Argentina to visitors. To pack some art and culture into your stay, visit the stalls of local craftsmen and then go see what’s on at the local cultural centers on either side of the market. They’re located right next to each other along Avenida Urquiza so you can visit them all back to back. Browse the ceramics, jewelry, llama wool ponchos, leather goods, and mate gourds while speaking to the friendly artisans who are passionate about their work. After you’re done shopping, check out the old train station which has been turned into a center for cultural events and exhibits. On the other side of the artisan market there’s the Centro Cultural Coquena which features a restaurant, art displays, talks, dance workshops, and musicians. If you like churches and religious art, be sure to visit the most prominent ones in the city of Jujuy. The Basílica de San Francisco was built in the 1920s and it contains seven altars made of Carrara marble, three naves, and a collection of artwork featuring paintings and embroidery. You can opt for a guided tour through the small museum and then see the church’s silver relics, paintings, and confessionals. Wander around to look up at the ornate ceiling, the brilliantly carved pulpit, and the many wooden and marble touches. The Catedral de San Salvador is much older, founded around the same time as the city in the 1500s and rebuilt over the years. Belgrano had the first flag blessed here, and the church contains an intricately carved cedar pulpit and many important pieces of Baroque artwork. San Salvador de Jujuy is a real city, not just a touristy one, so hit up some spots that the locals frequent for live music and social events. Plaza Ricardo Vilca is a nice outdoor square next to the theater where they hold festivals, musical performances, and dances with food stalls and bars. Caronté Bar is a popular place for great drinks and live bands playing everything from rock and roll to blues and funk. Outside the city, young people head to El Bodegón with its vinyl records on the wall and a small stage for live acts. La Casa de Jeremías has fabulous regional food and live music too, so if you still haven’t seen traditional regional music and dancing at a peña, this is the place to be on the weekends.